What Lawn Mower Should I Buy? 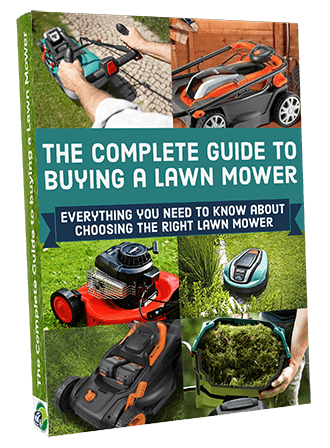 What Lawn Mower Should You Buy? Now I assume you’ll be able to guess which way I’ll be swinging, considering what our site is about. 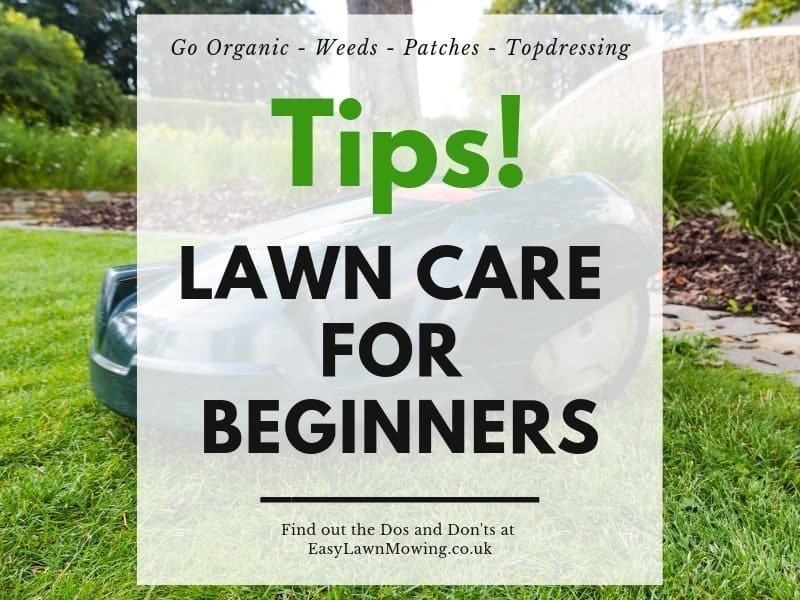 But I’m not writing this just to try and make a sale, there really are many genuine reasons why robotic lawn mowers are better than petrol mowers. And, to be fair, there are some which make petrol mowers better than robotic mowers. My aim is to make the facts as clear to you as possible, so outlined below are the main differences between the two. 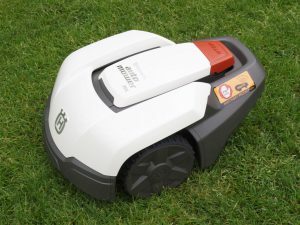 The majority of robotic lawn mowers only require a little help from the user during installation. All you have to do is setup the perimeter wire around your lawn and do some simple programming. 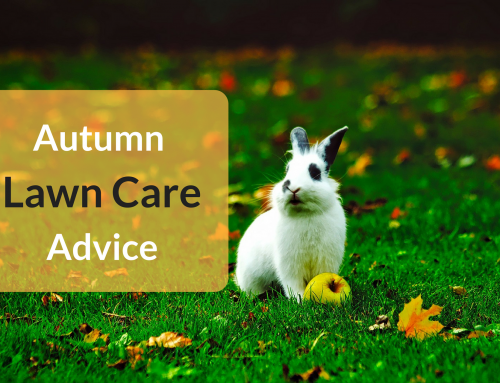 This shouldn’t take too long but will depend on the size and shape of your garden. The robotic mower will then calculate the most suitable route using multiple sensors and then get straight to work. At this point you can put your feet up and watch it go. Most robotic mowers can also be connected and controlled via an App on your mobile phone. The App allows you to change the cutting height, mowing schedule, mowing route and various other things, all from the palm of your hand. Keeping effort at an absolute minimum. This feature will be extremely useful for those with a busy lifestyle or even when away from home. Making cutting your grass as convenient as possible. With a petrol mower you have to get it out of the shed and push it around every square inch of your grass. This can be a really strenuous and time consuming task. Clearly the robotic mower is much easier to use and far less physically stressful. As mentioned before, during the installation process some simple programming is required. This set up takes a little time but only has to be done once (provided you have done it correctly). Or instead you can contact the retailer of the robomower and get them to do this for you. This will cost a little extra but is well worth it as the pro with have the best equipment and expertise to the job the first time without problem. They will probably give some advice as well on how to use the robot in your garden and some stuff to look for. 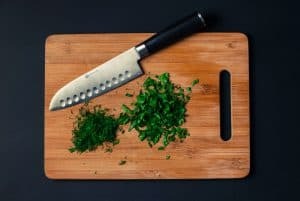 This will save you a lot of time and stress longer down the line so is probably the best course of action. You can then set which days and times you want the robotic mower to operate. So, even when you’re not at home, it will get to work mowing your lawn. It also has a built-in memory system which remembers the most efficient route for your garden. Therefore, there is no need to continually reset it. 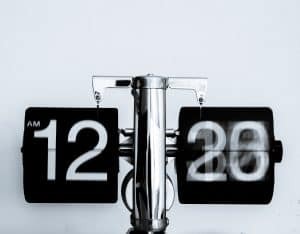 This could give you an extra 1 maybe even 2 hours free time per week to spend doing whatever you want. With a petrol mower more of your free time will be taken up mowing. However, the robotic mower will take a longer time to cut your lawn. So you may be left a little frustrated when look at your lawn while it is half cut with the robomower sittings in its charging station. This could be considered a point to the petrol mower but as the robotic mower will save you all the physical effort, I have to say that it is a winner for me. 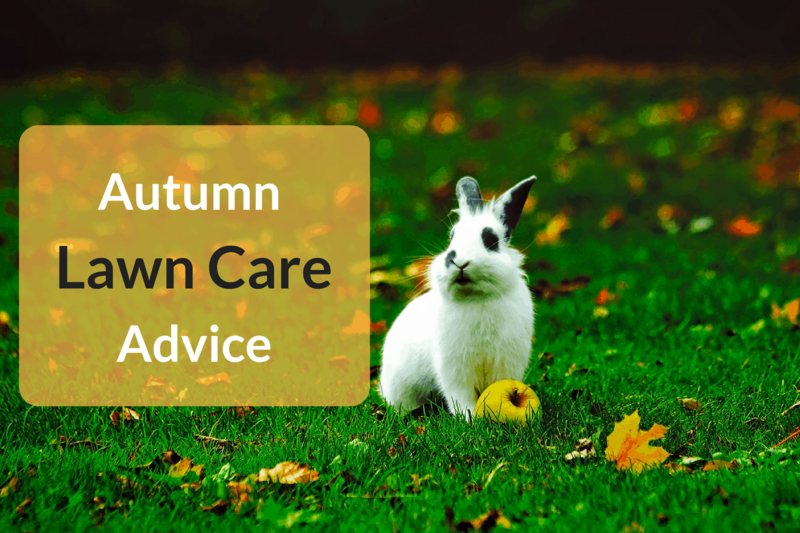 Also, this slow and steady approach will actually benefit your garden as well. 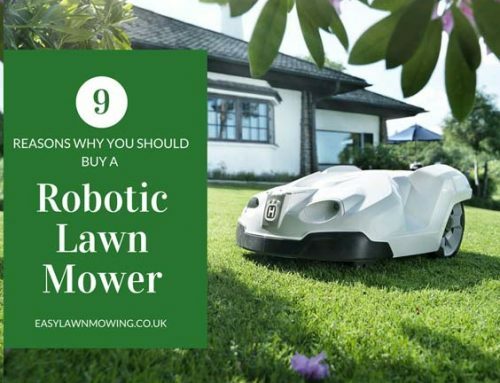 By cutting the lawn a little and often, and by only taking small little clippings from the grass, the robomower will actually improve the look of the garden. Over time you will notice the grass beginning to get more even, a little greener and much healthier. So don’t get worked up about it taking a while. This is done deliberately for the benefit of your garden. As they are so light and powered by electric motors, robotic mowers are extremely energy efficient. They use very little power for each mow and some even have an ‘Eco Mode’ which reduces power usage even further. Meaning they will spend less time charging and more time cutting your grass. 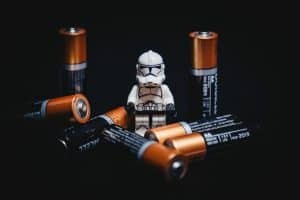 Instead of you having to replace a battery every few weeks, robomowers recharge themselves as well. 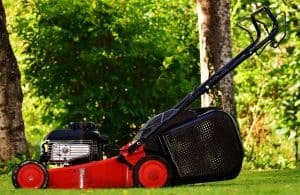 With the mower you’ll get a charging station which you’ll connect to an outdoor power supply and to the mowers boundary wire. So whenever the robomower is running low on charge (either while out on a mow or inbetween mows) it will automatically recharge without you having move an inch. As we all know petrol prices seem to be continually rising these days. So the running cost of a petrol mower will also continually rise. After several months the total cost of fuel may actually add up to initial cost of your petrol mower. So again, the robot mower betters the petrol here too. Let’s just cut to the chase here, there’s no way a petrol mower can compete with a robotic mower in this respect. All robotic mowers are powered by electrical motors and batteries. 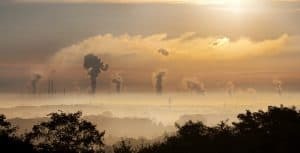 This means they will not pollute the atmosphere with harmful emissions as petrol mowers do. Electrical power systems are also very quiet, meaning no noise pollution either. It’s an environmental win, win. The added bonus of almost silent operation means they are can work at any point during the day or even at night, without disturbing you or your neighbours. Whereas you might be getting a few complaints the next morning if you try to do this with a petrol mower. And I assume you value sleep a little more than garden maintenance, so using a petrol mower during the night would just be impractical. Keeping your garden in great condition takes quite a lot of time, effort and self-discipline. 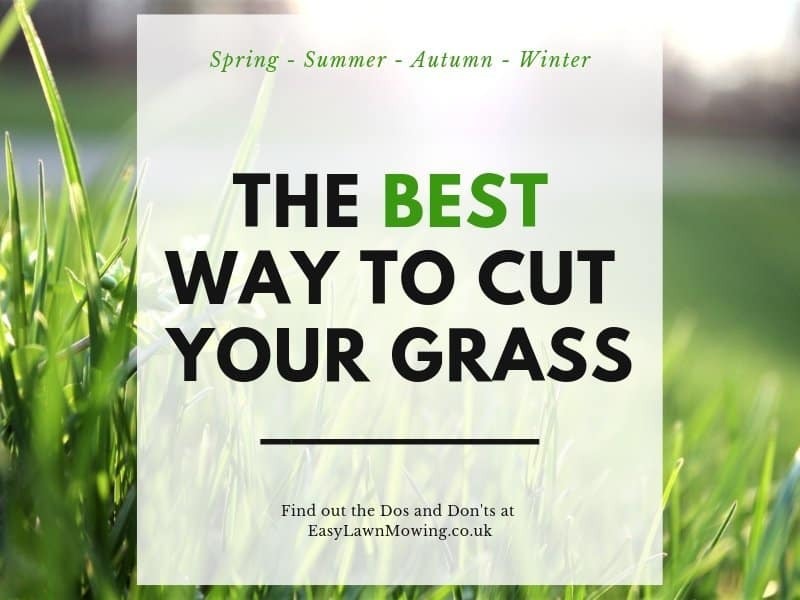 Trying to fit a weekly cut into your summer schedule can be difficult and the last thing you want is your grass growing too long making it look untidy and unloved. That’s where automatic mowers come in to their own. They follow your every command no matter the weather or how busy you are. 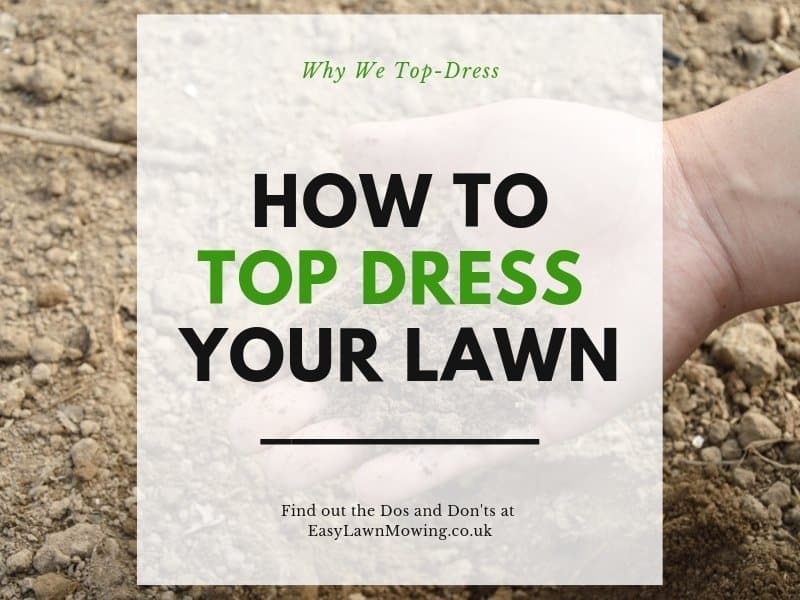 They will mow your lawn as often as it takes to keep it looking its best. Some models even automatically adapt their cutting schedule so that it only cuts when needed. Conserving power and cutting your charging costs. Then if you’re unsatisfied with the results you can easily re-set it to something more suitable. Most models also sense when it begins to rain, and retreat back to their charging station, preventing damage to your grass and the mower. Now, the petrol mower is definitely capable of producing a beautifully cut lawn but is entirely dependent on you. That’s not to say that you’re bad at cutting your own lawn, it’s just that you are going to have some bad days. Maybe you had a lot to do in work, maybe you’re unwell, maybe you’ve something on your mind or maybe it’s just one of those days. Whatever it is you’re just not feeling great. So you probably won’t have any interest in cutting the grass. Meaning you leave it there to grow just that little bit longer. This is one situation where a petrol mower can be a real nuisance and a robotic mower can be a saviour. It has to be said that there are some areas where the petrol betters the robotic. 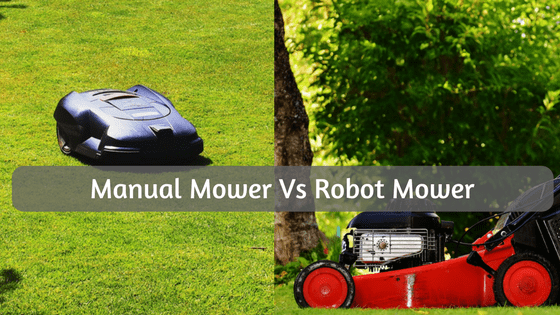 For example, most robotic mowers cannot cope very well with slopes – unless you decide to purchase a high-end model. 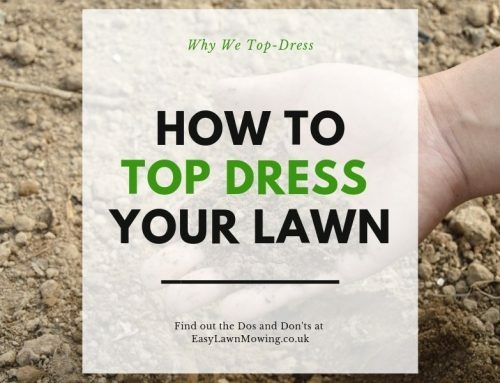 So if you’ve got a hilly garden then they may not be the mower for you. Your petrol mower will, of course, take steep slopes in its stride. It will just take a little more effort on your part to push it up and down the hill. Definitely a point to the petrol mower. Some robotic mowers may miss some areas of your garden. Now I don’t mean in the centre of your garden for everyone to see but around the edges near the fence and bushes. This is actually one of the main problems recurrent in all robomowers and no manufacturers of yet have solved it. Because the perimeter wire is cutting off these areas, the mower cannot reach them. This will mean you may have to get out your trimmers every few days. But with your petrol mower you can ensure that each individual area is cut just how you like it. Another point to the petrol mower. Even though the petrol mower can save you a little, unexpected work and can mow on large slopes. The robotic mower is just much more useful and valuable. It takes much less effort to use, it works continuously no matter how you’re feeling and frees up your spare time to do whatever you want. It is definitely some of most useful technology around at the moment and they’re unmatched by any other mower out. But that is just my opinion (and I guess some facts), I’m not the one purchasing this product. This kind of purchase requires some thought so please take into account all of these factors before making your choice. After all, you don’t want to invest in something that doesn’t give you everything you were looking for. To find the perfect one for you have a read of my reviews right HERE. They go through all the features and functions associated with the robomower. I’ve even made recommendations at the end of each review to help you figure out if that particular model suits you best. But make sure you read more than one before purchasing. You want to get as much information as possible before making this decision. Good luck and I hope you enjoy my reviews! I love your post. It has a lot of good things going on. However, I wish that you had more views of different types of robotic mowers. I have seen one in Indiana used by state workers on the side of the road. It was huge compared to the one in your picture. They were using a remote control with it. I thought it was so cool to see and to imagine how good it would be to use on the yard. I guess that would be one of the high end ones. It could maneuver over the ditches with ease. Also you might want to show the charging port and see if there are any that have solar charging capabilities. Yeah Brian that does sound cool but I’m not entirely sure they are meant for gardens. So they may not be in my niche but I’ll definitely look into it anyway! And yeah I’ll make sure to add some info on the charging ports. They are quite a big part of robomowers so I think most people would like to learn about them. Aw and by the way there are some robomower models you can actually control! Hope you like this feature! Holy smokes, where was this when I was a teenager having to cut grass for my parents? I really like this information, and look forward to mentioning it when I need an ice breaker. This technology is revolutionary to me, and I think you having something special here. I am sure you have answered this elsewhere, but how true are the robot mowers? How can they tell where the boundaries are? I once dreamt of creating a GPS software for farm implements to plow, seed, etc…on their own. I guess the technology finally exists! Haha I know these would’ve saved you so much bother! All robomowers are different in how they navigate so some will actually make use of GPS software and some will not. However all operate similarly even with these differences, all of them have built-in sensors to make sure they don’t run in to anything. And all make use of a boundary wire to stop them from leaving the garden. The technology is very cool and if you want to learn a little bit more then head over to this page – https://easylawnmowing.co.uk/what-are-robomowers. Here I go into detail about what a robot lawn mower actually is and how they help you, which should clear things up. And as far as farming equipment goes, I’ve got to say I’m not too sure. Although I think that’s a really cool idea so hopefully they’ll be coming out in the not too distant future! Hopefully this helps and if you need anything else, please just ask! That sounds crazy awesome, a robotic mower that will mow your lawn for you while you kick back, I could really use something like this in my life, Get home from a 12-hour shift, throw on the robotic mower, and go to bed. Thanks for the post man, definitely something I need to know about haha. It’s really awesome how you can also optimize the robotic mower in order to pick the length you want your lawn to be, and its memory system is amazing. The only downside I can think is if this takes off, I’m gonna be put out of business mowing my grandma’s lawn lol. BTW you don’t even need to turn it on after work. All mower come with a built-in mowing schedule which you can alter to times that fit you. So instead, you could have it working while your away at work or have it automatically turn on at a time when you’re most likey to be home. These really are cool machines and I know they’ll take a huge weight off your shoulders… especially if you’re working 12 hour shifts!!! Wow, I never knew there was such as thing as a robotic mower! It kind of reminds me of the Roomba vacuum that does all the cleaning for you. I can’t believe they’ve gone as far as to create mowers that can now mow your lawn for you too. That’s such an ingenious idea. I know a lot of people that would love having one of these. How long would the batteries last on a mower like this, and is it cost-efficient? Yeah they’re sort of the same idea, just sit back and let it do all the dirty work. The mower actually comes with its own charging station so it recharges its batteries without you needing to replace them. Of course I’m not saying they can’t break, that could happen but that’s different for everyone. And in terms of value for money, it really depends on what you compare it with. 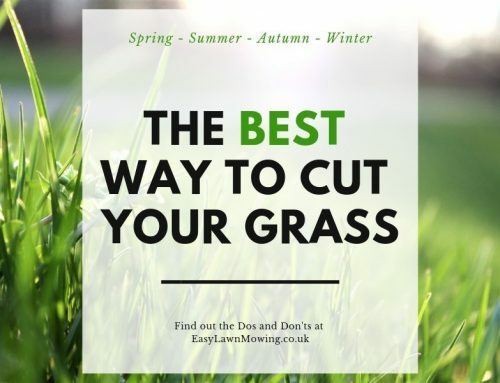 For example if you have a riding mower or petrol mnower then it would certainly save you money. But if you compared it to push electric mower then there may not be much of a difference. In that case however, you would be focusing more on comparing quality of cut instead of the cost. I hope this clears things up and if you need anymore help please just ask! lol, this machine’s going to put lawn mowing companies out of business. It looks very cool and the features are excellent. I’ve always been the lazy husband that didn’t want to mow the lawn and would forget to mow it on so many occasions. I would be one of the first to hire someone to mow my lawn. Sounds like these robots are made for you Nathan! They take out all the boring work so you can be as lazy as you want. Also they work out to be a little cheaper than hiring someone over the long term so make sure to keep them in mind. Thanks for the comment and if you need any help picking a mower then just let me know! I’ve always wanted a robot lawn mower or at least something automated. Your site is very informative, crisp, who knew there could be so much to having a good cutting lawnmower. I would like to see more brands of robot mowers as well but no complaints about site and content. good job. Great to hear you enjoyed the site John! I’ll make sure to get some more reviews on there pronto so make sure to check them out in the following week. 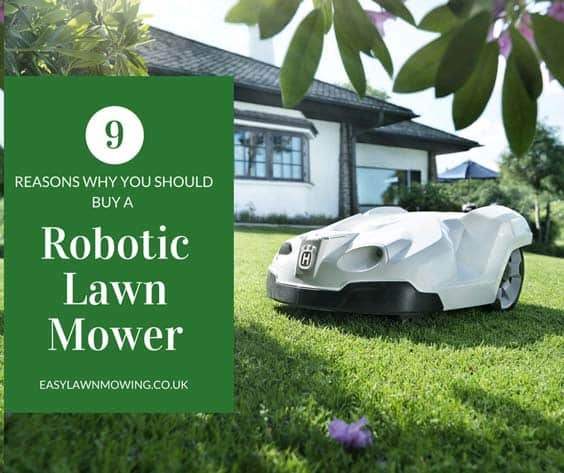 It sounds to be the robotic lawn mowers one day will be the only lawnmower possibly people are using, but many people enjoy mowing their own lawns and this for them is not a product they might be interested in? For the lazy home owner or the person looking for the most convenient method to mow their lawn this sounds to be the new thing for mowing your lawn? Yeah I totally agree Jeffrey, these products aren’t for everyone, mowing the lawn can be enjoyable and even therapeutic for most people. But if you aren’t like this and see it as more of a chore (people like me!) then you’ll definitely love these mowers!